It is ‘without a doubt’ a true masterpiece of 16 artists from the atmospheric music world’s of alternative rock, noise rock, post-punk, psych rock, psychedelic and shoegaze paying absolutely stellar music homage to these music pioneers. 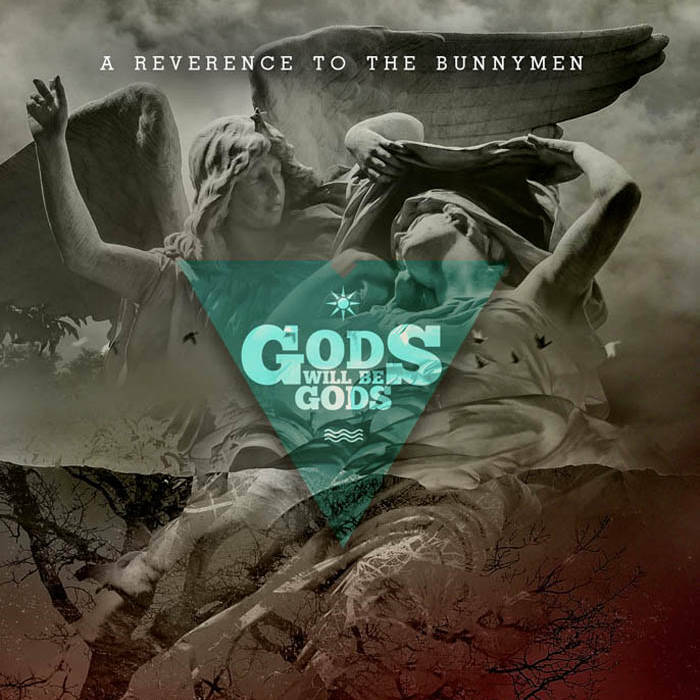 Every song of the 16 tracks bring out that ‘bunnymen’ aerial glitter as well as creating their own trippy music havoc mastering measures on these phenomenal renditions. I would have have gone ‘eek – ouch’ if hearing of a rumbling of a bunnymen cover tribute album year’s back, but with what this band has truly meant to atmospheric rock and roll in the almost 40 years and what I feel like millions of bunnymen all around the world with them receiving their just music dues, I am literally feeling elated and satisfied completely by these earth shattering song tributes to “Echo and the Bunnymen”, I can only go “Wow”, class music compliment all the way! VA - Gods Will Be Gods - A Reverence To The Bunnymen by TBTCI Rec.